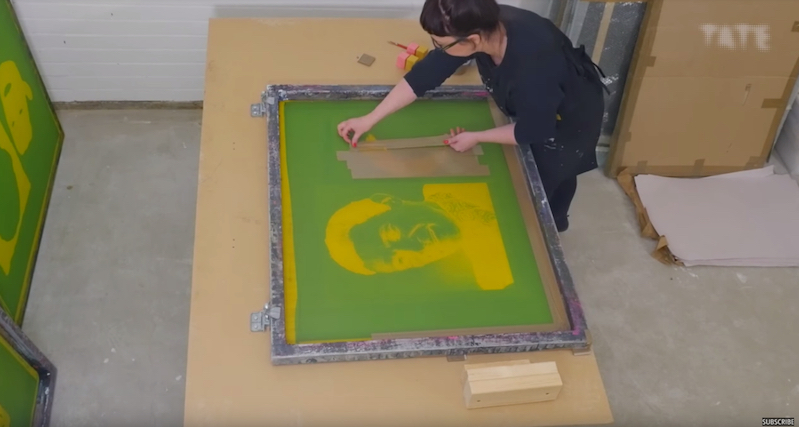 Marianne Keating from The Tate takes viewers through the complex process of making prints in the style of many of Andy Warhol's most famous silk screen works. Printmaking appealed to Warhol as it allowed him to repeat a basic image and create endless variations of it by using different colours or sometimes adding paint to the printed surface. In 1972, Warhol made a series of screenprints of Chairman Mao, the leader of communist China. Mao may seem an unlikely celebrity, but in the early 1970s America’s president, Richard Nixon, visited Beijing and Mao’s portrait was everywhere – making him something of a contemporary icon. Warhol used a photograph from the cover of the Little Red Book (a book of quotations by Chairman Mao) as the starting point for his portrait.